Not long ago, I attended a great presentation by conflict consultant Kathleen Bartle about workplace bullying. This brought back not-so-great memories of having worked with a bully myself very early on in my career. And let me tell you, bullying is something serious and really impacts the victims. Let’s have a look at the facts: About 50% of U.S. workers have experienced some form of workplace bullying, and 75% of them leave their jobs to end the bullying (Namie, U.S. Workplace Bullying Survey, Workplace Bullying Institute and Zogby International, September 2007). But bullying doesn’t only affect the target. A recent study (Houshman, O’Reilly, Robinson & Wolff, 2012) indicated that coworkers of bullying targets have similarly high turnover intentions compared to the targets themselves. So, what exactly is bullying? If you have reason to believe there might be some bullying going on in your team, the worst you can do is: Nothing. Bullying makes the target’s life miserable and it costs you and your company a lot of money, so act fast! 360 degree feedbacks might be a useful tool in order to gather feedback about a potential bully. In case a target reports bullying behavior, talk with the bully. If the behavior doesn’t stop after talking to the employee, it is time for you to involve Human Resources in order to discuss potential reprimands like the removal from key projects or, if nothing else helps, termination. But what if your bully is a superstar at the company? If the bullying doesn’t stop after talking to him/her (and you really want to keep him), you might want to consider hiring a conflict consultant. In most cases, she says, you won’t be able to change the bully. This is why she mostly works with the targets and the people working with the bully. The goal is that the target is no longer affected by the bullying and therefore stops giving the bully the reaction that he/she is looking for. If you translate this to learning theory, the bully gets positive reinforcement through the target’s reactions, like emotional outbursts and mistakes at work. If the reinforcement stops, the bullying won’t automatically stop as well. But the target will in time feel better, and the bully won’t be “rewarded” for his/her behavior. This is precisely what I did when I was the subject of bullying. I focused on doing a good job, and I was always friendly and professional to my bully. However, when he got headhunted for a different job about a year later, you can imagine my relief! Have you had any experience with bullying at your workplace? How did you handle it? Would you be willing to keep a bully at your company because he’s creating lots of revenue (even at the expense of a healthy work climate)? Where do you personally draw the line, when does bullying start for you? I would love to hear your stories! An awesome post on bullying… I hope we can all learn from it and change our leadership style to discourage this sort of workplace menace. Great post, Katrin. 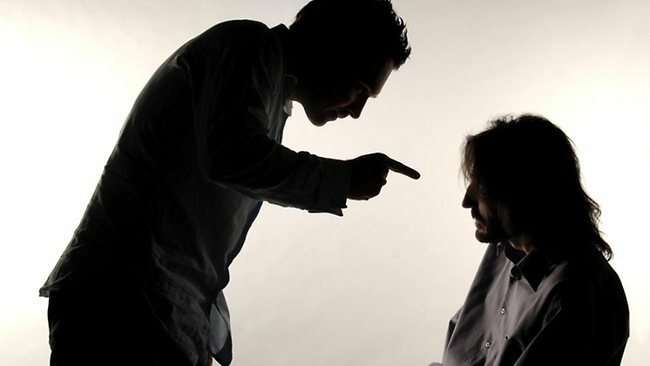 I personally have seen these behaviors in the workplace, but never considered it “bullying”. This opens my eyes a little more to what’s going on. Most of the time, a bully does what they do because of their own insecurity or need for power. It’s a great approach to work with the victim rather than trying to change the bully. Thank you for your post Katrin, very helpful. I am wondering if Kathleen addressed times when the bully is the boss. This is a difficult issue that a good friend of mine has been experiencing. Would love to know your thoughts on this area. If you would like, we have a linkedIn discussion post at http://lnkd.in/jkq6aJ. Thanks, Kathleen, for reading this blog. I really enjoyed your presentation. How you treat others is how you see yourself. My wife recently left a high-paying corporate role b/c of an unrelenting bully leader. Sad to read bullies rarely change. They just remain ignorant of the suffering they cause others. One word- karma.